The People Leadership Group is one of the LEP Board’s sub-groups. It leads on all People-themed agendas within the Heart of the South West Strategic Economic Plan (SEP). It requires appropriate expertise, capacity and governance to oversee its ambitious agenda. To create the conditions for sustainable growth in the local construction sector by building stakeholder awareness, ownership and responsiveness to the local construction labour and skills challenge. To maximise productivity and employment opportunities by ensuring access to sufficient numbers of talented people with the appropriate skills to deliver the project pipeline and to support industry capability. To capitalise on the local construction sector’s assets and stakeholder links to improve the industry’s competitive edge. The LEP People Leadership Group identified that addressing the Digital Skills and Inclusion needs of our people and businesses is crucial to supporting the growth and development of the LEP area. A wide range of work has already taken place across the LEP area on these topics, and so a small working group was put together to engage with relevant partners and stakeholders to agree on the work needed. To view the terms of reference for the group, please click here. Groups had already been meeting across the LEP area, including; the Digital Inclusion Group Somerset (DIGS), Devon Digital and a Plymouth based group, and representatives from these have been invited to work with the LEP-wide group. The first piece of work undertaken was to bring together the range of research and information that had already been gathered and produced across the LEP area. The executive summary from the recent piece of work can be found here, from this an action plan will be agreed by the group and work will commence on delivering the agreed priorities. If you would like to see full copies of the research reports produced – one for Devon, Plymouth and Torbay, one for Somerset and a LEP-wide piece, please contact sarah.mercer@devon.gov.uk. As part of the work the LEP is undertaking to better understand the issues relating to Digital Exclusion across the area, a map has been produced. Using a range of data sets, these have been combined to provide an overall ranking that shows those parts of the LEP area that are more likely to have greater levels of Digital Exclusion, that is where residents in those areas are not going to be using digital technology as part of their everyday life, and do not have the skills to use digital technology. The data used to produce the map is the most up to date data available for each of the data sets, and the map will be updated when new data from each of these sets become available. Some data sets are annual, whilst others are less frequent. This map is only designed to give a broad illustration of where the areas of digital exclusion may exist, if a more detailed analysis is required, then a more detailed interrogation of the data is recommended. The Digital Inclusion Data is based on an example originally developed by Somerset County Council. The data is collected by Lower Super Output Area (LSOA) geography. There are 1,034 LSOAs in the LEP area. Percentage of the population aged over 65 based on the Office of National Statistics 2014 Mid Year Estimates. Income Deprivation from the 2015 Index of Deprivation produced by the Department of Communities & Local Government. Percentage of day to day activities limited from the 2011 Census. Adult Skills Deprivation from the 2015 Index of Deprivation produced by the Department of Communities & Local Government. Percentage connections <2MB/sec (Ofcom 2015) All Delivery Points. All these measures were ranked within the 1,034 LSOAs with the lowest figures being the worst in each category. An average rank was then calculated using the rank of these 5 measures and the result was ranked again from between 1 to 1,034 with 1 being the most deprived in the LEP area. The People Group leads on all People-themed agendas within the Heart of the South West Strategic Economic Plan (SEP). 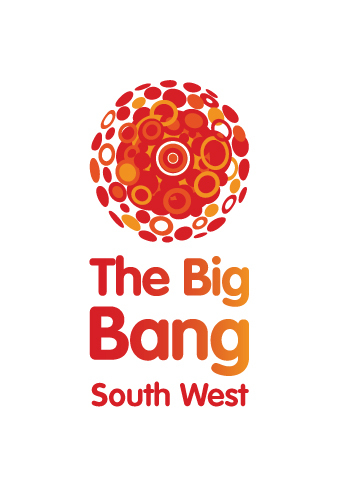 The aim is to support the People (Employment, Skills and Social Inclusion) work theme for the Heart of the South West LEP and this covers education and skills. This page showcases some of the work and activity that has been taking place across the HotSW area in enterprise education. The LEP People Group has produced a video to showcase the work in enterprise education which has been taking place across the HotSW area. There is a lot of activity across the HotSW region and we have some great examples. The group would like to share these with others and encourage more partners to become involved. We hope this will encourage partners to work together to help businesses meet their skills needs and support young people with future careers. Across the Heart of the South West LEP area, there are a number of exciting and successful projects in Enterprise Education. Some of these are presented below. National programme celebrating science, technology, engineering and mathematics. Gives young people a platform to see how classroom methods are applied in the real world. Events in 2013/14 benefited 8000 people in 11 venues. The headline event is at the University of Exeter in Devon; this reached 2000 people alone. North Devon based initiative that aims to grow a successful and ambitious future workforce for the local economy. The project gives students the message that education is a gateway to your future. LEP-piloted and Devon and Cornwall Business Council (DCBC) delivered project encouraging future innovation and entrepreneurship in the wider rural community. Close to 500 individuals have been reached with the project, which aims to promote the use of Rural Growth Network (RGN) hubs. Part of the Hinkley Power Station agreement, seeking to engage and educate young people and families about the employment opportunities this presents. From an employer’s perspective, the scheme addresses an identified skills and labour gap in the energy and construction industries. 58,000 student engagements in 141 schools by August 2014. Created in partnership with JobcentrePlus; designed for young people (18-24) but can be used by anyone looking for work or wanting to progress in work. Also caters for employers who are looking to support young people with employment, training and skills. An App was launched on May 15th, predominantly aimed at users between 14-18 looking for advice on future careers, interviews, CVs and apprenticeships. Somerset County Council managed business/student engagement. Problems presented to students faced by the business community. Encourages entrepreneurial skills. 80 students and 5 colleges participated in the project. To support the People (Employment, Skills and Social Inclusion) work theme for the Heart of the South West LEP. Linking with relevant and appropriate stakeholders both in and out of region. The HotSW LEP have identified that independent, impartial Careers, Information, Advice and Guidance is important to supporting people to make informed choices about their future. We have produced a set of standards that we encourage all providers to use when delivering a service of this sort. To find out more about the group, please take a look at the Terms of Reference. A number of research reports have been produced and commissioned by the LEP and our partners. To view the reports, please click here.